Collaboration Holidays Offers An Attractive Honeymoon Tour Package Of Rajasthan. This Package Tour Is Specially Made For Newlywed Couple And Honeymooners Who Are Looking A Beautiful Place In Rajasthan. During This Romantic Honeymoon Tour Of Rajasthan Travelers Have A Wonderful Opportunity To Explore Some Of Romantic Places Of Royal Rajasthan. This Tour Package Is For 14 Days And Covers Many Destinations Like: Delhi, Agra And Jaipur. After Arriving At New Delhi Airport/Railway Station,/Bus Stand, Our Representative Will Receive You And Take You The Hotel. Here We Will Take Overnight Stay. Delhi Which Is National Capital Of Indian, Is A Chronological City Spotted With Several Testimonials. We Will Look At The Prosperous History And Culture Of The City. We Will Take A Tour Of Delhi And Visit The Laxmi Narayan Temple, Jama Masjid, Red Fort, The India Gate And The Gandhi Memorial.We Will Also See Embassies And The Parliament House. We Will Never Like Miss Evening Light And Sound Show At Red Fort. While Traveling The Tour Of Delhi, We Will Also Visit The Purana Quila, Jantar Mantar, Humayun's Tomb And The Qutab Minar. Finally We Will Come Back To The Hotel And Take A Overnight Stay In Night. Early In The Morning After Having Breakfast, We Will Move To Agra. Here We Will Take Rest For A Few Hours And Then Visit The Taj Mahal (Closed On Friday), The Personification Of True Love. This Wonderful Monument Was Built By Shah Jahan In Memory Of His Wife. Then We Will Also Visit The Agra Fort. During Your Agra Tours, We Will Also Visit The Itmad-Ud. On The Forth Day Of This Tour, We Will Travel To Jaipur. While Going On Jaipur Route We Will Visit The Deserted City Of Fatehpur Sikri. This Mughal City Is Recognized By Akbar Which Has Been Declared As The World Heritage Site. After Traveling Around Fatehpur Sikri And Visiting Its Monuments, We Will Move Towards Jaipur, The Pink City Of Rajasthan. 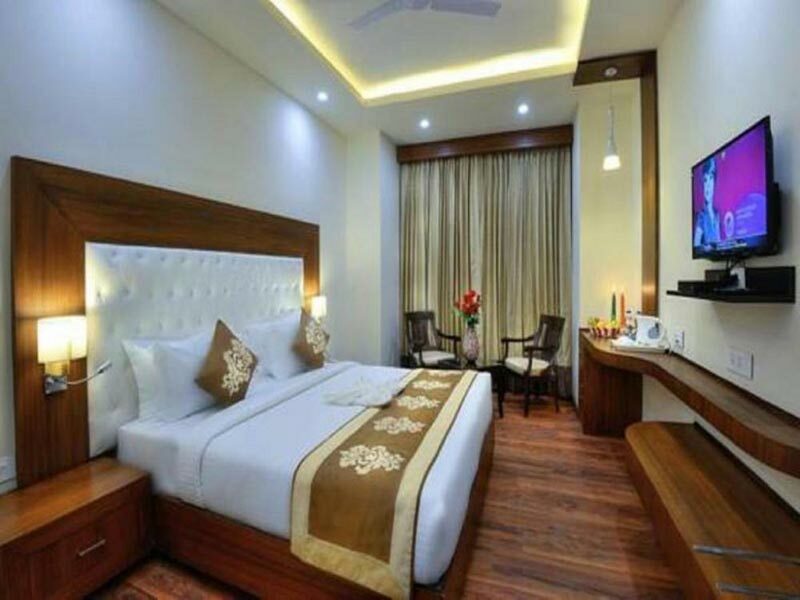 After Arrival In Jaipur, You Will Be Shifted To The Hotel And Take An Overnight Stay. Early In The Morning After Taking Breakfast, We Will Move To Udaipur Which Is Also Known As Lake City. While Passing On This Way, We Will Also Visit An Oasis In The Desert State Of Rajasthan. After Arrival Udaipur, We Will Transfer To Hotel And Take A Overnight Stay In Udaipur. On The Seventh Day Of This Tour, We Will Enjoy Full Day To Sightseeing Tour Of Udaipur. Early In The Morning After Taking Breakfast, We Will Enjoy Udaipur By Visiting Its City Palace, The City Palace Museum, Jagdish Temple, Sahelion Ki Bari, The Bharatiya Lok Kala Mandir Which Is Also Said Folk At Museum And The Pratap Memorial. In The Meanwhile We Will Take Our Lunch. Finally Will Taka A Overnight Stay At Hotel In Udaipur. Early In The Morning After Having Breakfast, Our Travel Representative Will Provide You Cars, Driver And A Guide To Move To Jodhpur. 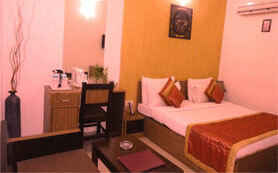 After Arrival You Will Be Transferred To A Hotel And Take A Overnight Stay In Jodhpur. Early In The Morning After Taking Breakfast, You Will Take A City Sightseeing Tour Of Different Kinds Of Tour Palaces And Museums That Consists Of The Striking Mehrangrarh Fort. We Will Also Travel Around The Rajputana Architecture By Visiting The Moti Mahal, The Phool Mahal, Jaswant Thada And The Umaid Public Gardens. Finally We Will Take A Overnight Stay At The Hotel In Jodhpur. Early In The Morning After Having Breakfast, Our Representative Will Take You Towards The Golden City Of Jaisalmer. After Arrival Jaisalmer, You Will Be Transferred To The Hotel Where You Will Take A Overnight Stay. On The Eleventh Day Of This Tour, The Full Day Will Be Devoted For Sightseeing Of The Desert City Of Jaisalmer Which Is Situated On The Edge Of Thar Desert. Today You Will Visit The Wonderful Jaisalmer Fort, Patwon Ki Haveli And Salim Singh Ki Haveli. These Havelis Or Mansions Are Known For Their Stamped Balconies, Brackets Which Are One Of The Best Example Of Typical Rajasthani Art. You Will Also Enjoy An Evening Camel Ride At The Sam Dunes. Finally You Will Take A Overnight Stay At Hotel. 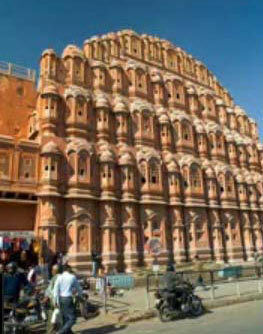 Early In The Morning After Taking Breakfast, Our Tour Guide And Driver Will Take You To Bikaner. After Arrival In Bikaner, Our Representative Will Support You To A Luxury Hotel For Check In. In The Afternoon After Taking Lunch, Our Guide Will Take You For A City Sight Seeing Tour. Bikaner City Which Is Bounded By A 7Km Long Wall Was Established By Rao Bikaji In 1488. The City Has A 16Th Century Built Fort Housing Old Palaces, Temples And Mosque. So In This Tour A Visit To The Fort Complex Is Must. We Will Also Visit The Lallgarh Palace, The Museum, Bhanda Sagar Jain And Deshnoke Rat Temple. Finally Will Return Back To The Hotel On Time And Will Take A Overnight Stay. Early In The Morning After Having Breakfast, Our Tour Guide And Driver Will Assist You In Your Tour To Mukandgarh/Mandava. After Arrival In Mandawa, First You Will Take Lunch. And Then You Will Visit Some Of The Important Tourist Places Of Mukandgarh/Mandava Known For Its Havelis With Beautiful Frescoes. You Will Also Visit The Mandawa Fortress, One Of The Finest Fortresses Of Rajasthan, Having A Good Gathering Of Armories, Royal Dresses And Numismatic Collection In Its Museum. On The Last Day Of This Tour After Having Breakfast, You Will Drive For Delhi. After Arrival In Delhi, Our Representative Supports, Conducts You To The Airport For Connecting To Flight For Your Onward Destination.